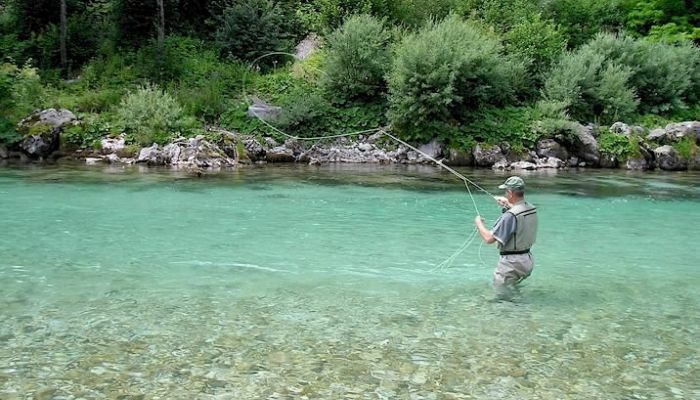 Property for sale in Slovenia (Adriatic Coast, Julian Alps and Prekmurje). 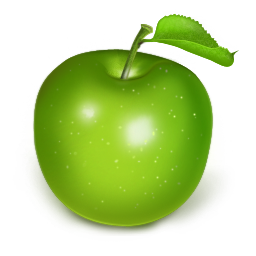 We offer properties for sale in Slovenia. 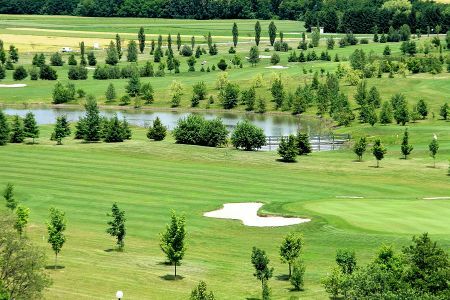 We offer a wide range of holiday homes, houses, apartments and many other properties for sale in Prekmurje the eastern province of Slovenia as well as in the Slovenian mountains and on the Slovenian coast. 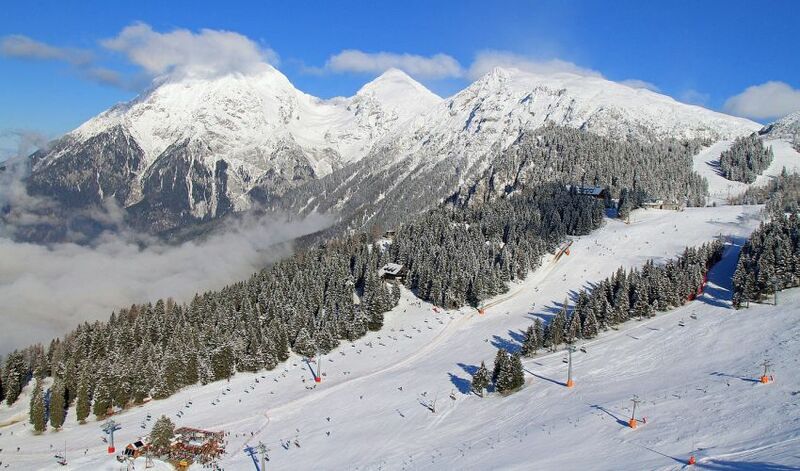 These areas include the resorts of Bled, Bohinj, Kranjska Gora, Planica, the Soča valley, Piran, Portorož and Koper. 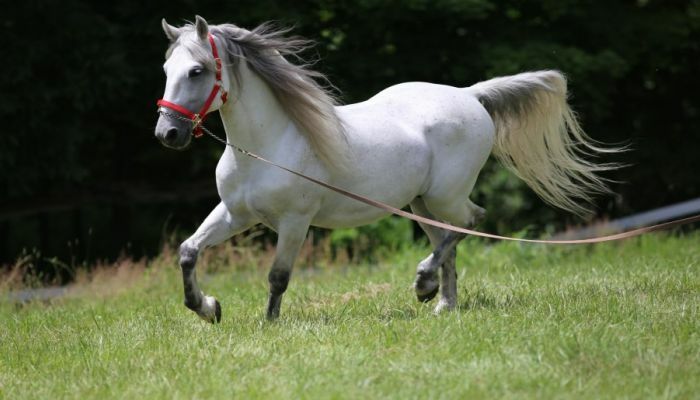 In the east of the country we have properties for sale in the Goricko National Park and in Ljutomer, Ormož and in the famous wine growing areas. We also offer properties around Maribor and the ski and mountain areas around it. 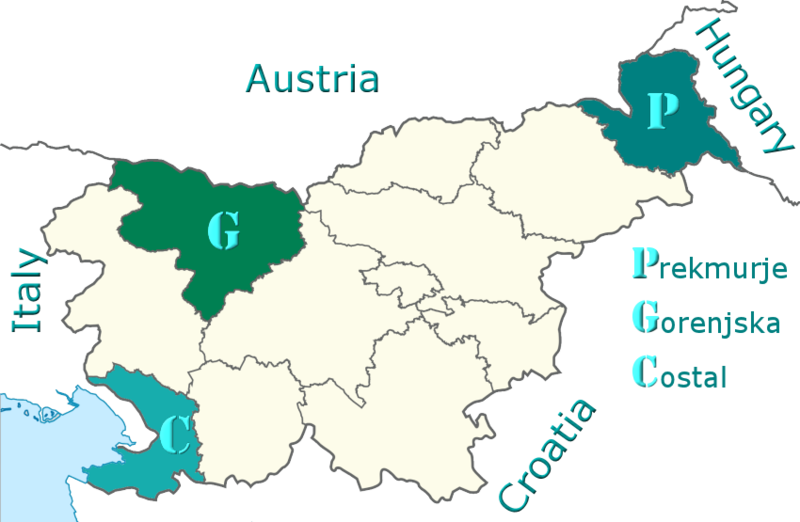 Location of Prekmurje province, Gorenjska province (Upper-Carniola - Julian Alps) and Costal-Karst (Slovenian Adriatic Coast) province. 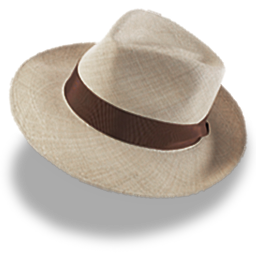 A region of rolling hills, ancient woodland, mixed agriculture, orchards and vineyards. 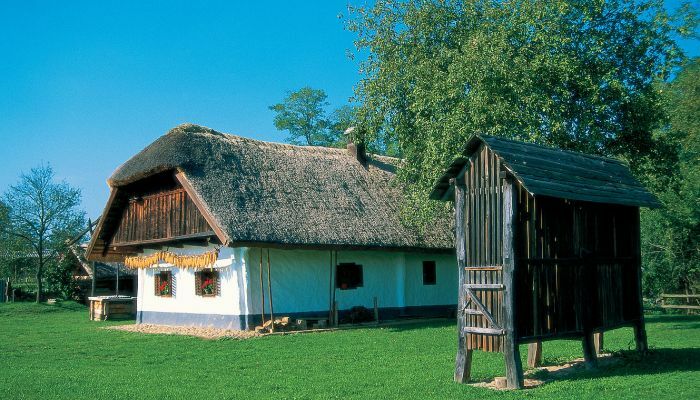 This region offers the best remaining property bargains in central Europe. Compared to the prices in Austria, Italy and even Hungary these days your investment in this region should realise good capital growth in the coming years. A truly wonderful region of Europe. 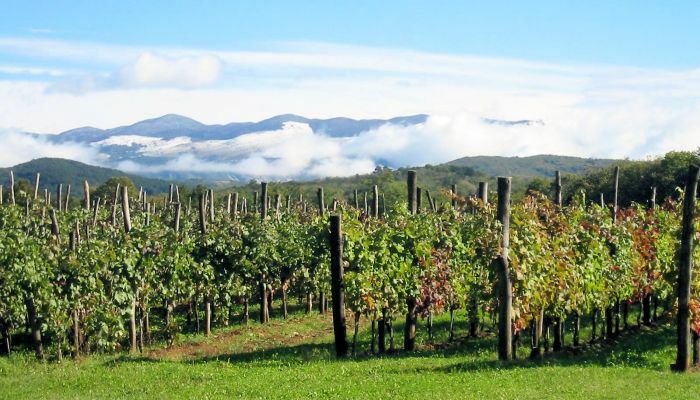 It is also a huge wine producing region especially around Lendava, Ormož and Ljutomer. 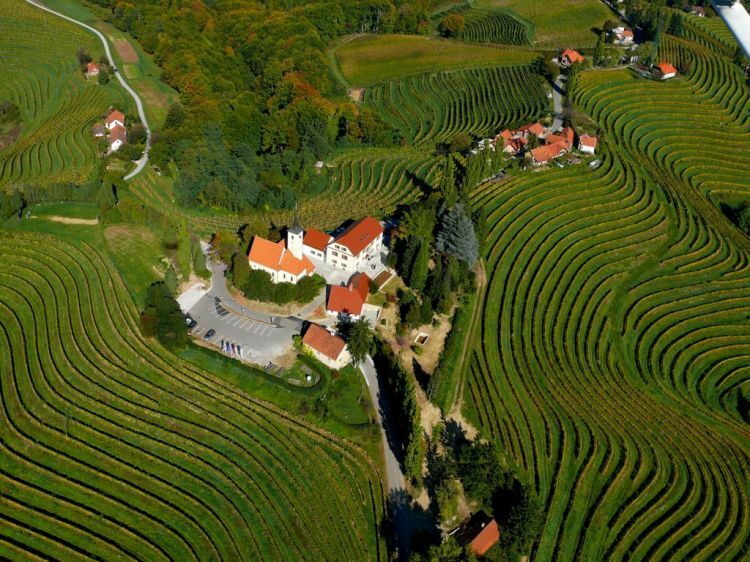 The "Bread basket" of Slovenia. Farms, renovation properties, cottages, houses, holiday homes, investment opportunities and businesses for sale. Gorenjska (Upper Carniola), is the region just north of the capital Ljubljana amidst the peaks of the Julian and Kamnik-Savinja Alps it also encompasses about half of the Triglav National Park. 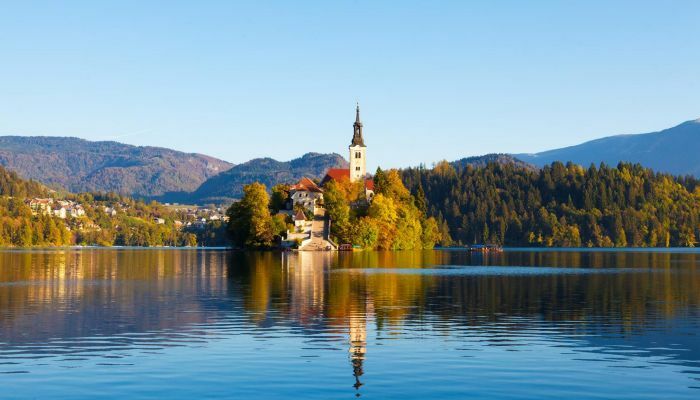 This area is well known for its beautiful scenery, excellent hiking and biking trails and the gorgeous lakes of Bled and Bohinj. 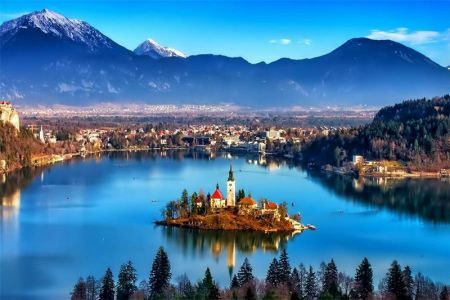 Lake Bled is another must-see! 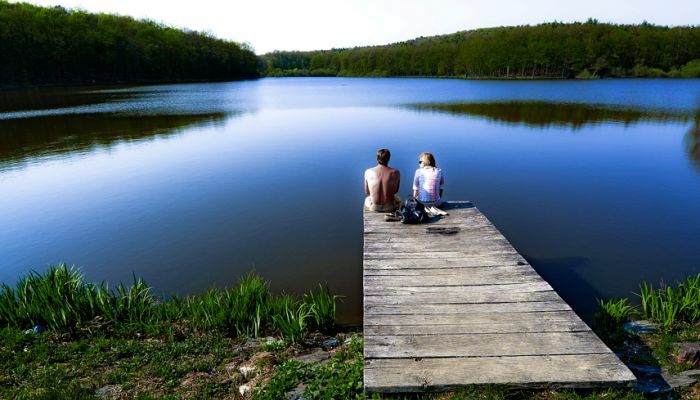 A tranquil destination with its legendary island church, lakeside castle, hot springs, fine dining and a pleasant atmosphere. 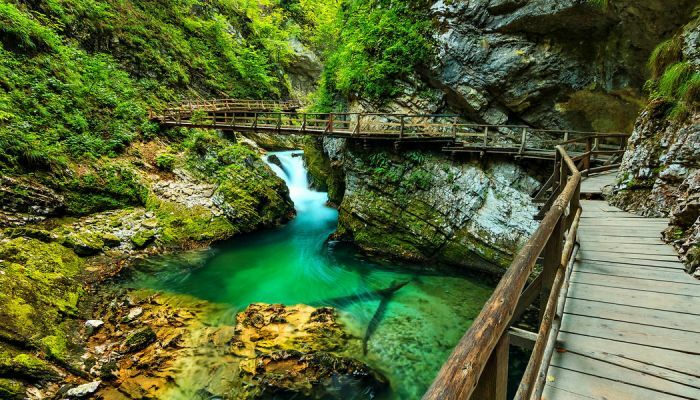 Not far from Bled is the stunning gorge of the river Radovna called Blejski Vintgar, with its immense natural beauty. 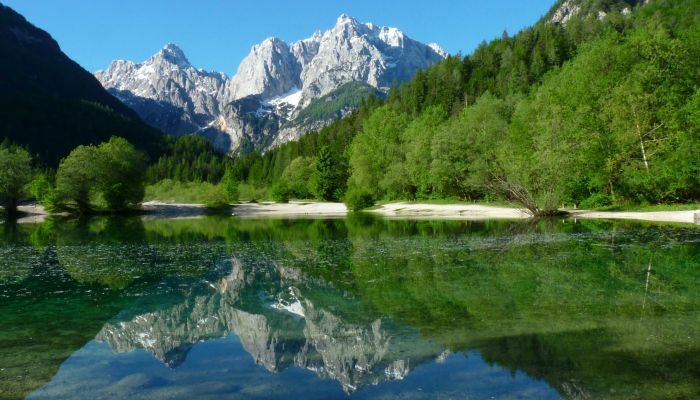 Gorenjska also offers a whole heap of activities in the resort town of Kranjska Gora and unforgettable walks through the beautifully preserved city centres of Kranj, Škofja Loka and Radovljica. 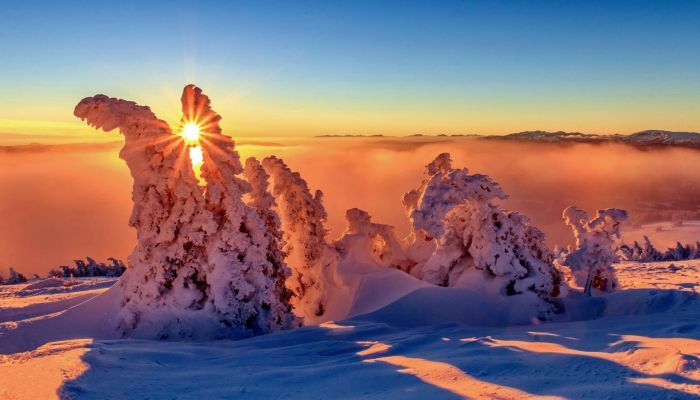 The Julian Alps and the Alpine foothills offer the visitor abundant opportunities to explore nature’s diversity and beauty. 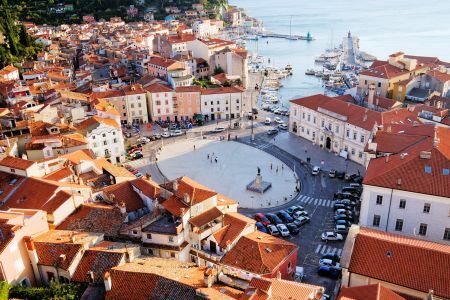 Think of the northern Adriatic and you’d be forgiven for conjuring up images of Italy – of Venice, Rimini, and Trieste – or imagining lavish coastal gems from Rovinj to Zadar in Croatia. However, you’d be missing an important 47 kilometers, which belong to Slovenia, a tiny fragment of coast wedged between its neighbors that packs in a disproportionately large number of treats. Croatia might completely hog the waterfront in this part of the world, snatching miles and miles of stunning coastline from similarly-sized nearby countries and attracting huge numbers of visitors to match, but the Slovene Riviera – sitting at the tip of the Slovene Istria in the south west of the country – is equally enticing. 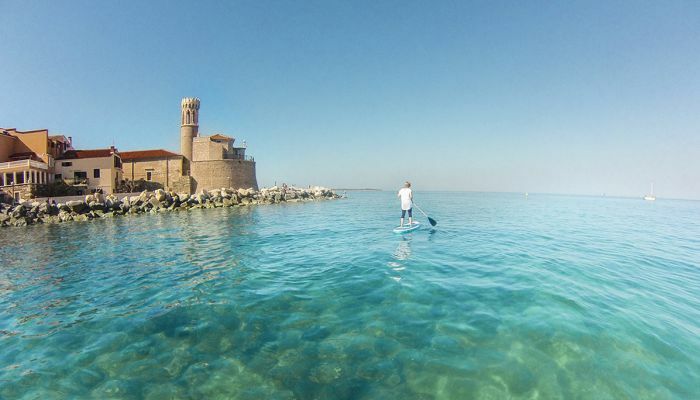 Slovenia’s Adriatic coast is just 47km long – but like the rest of the country, punches well above its weight in the number and quality of attractions it offers. 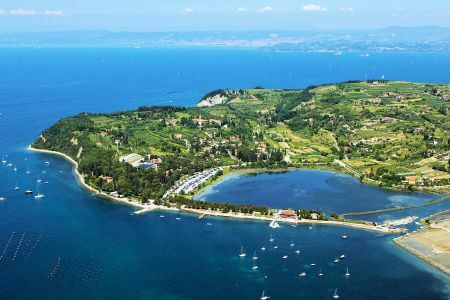 The main draw, for most, is Piran, a magnificent medieval Venetian town on a peninsula jutting into the Adriatic centered around the picturesque Tartini Square and overlooked by an imposing and beautiful hilltop cathedral. 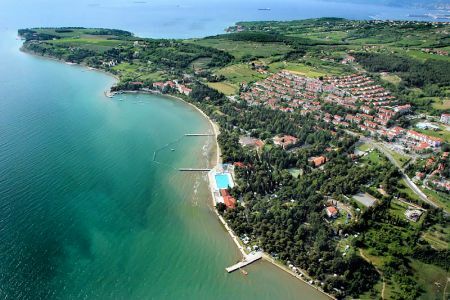 A few kilometers to the south is Portorož, a cheerful town with all the trappings of a busy seaside resort. 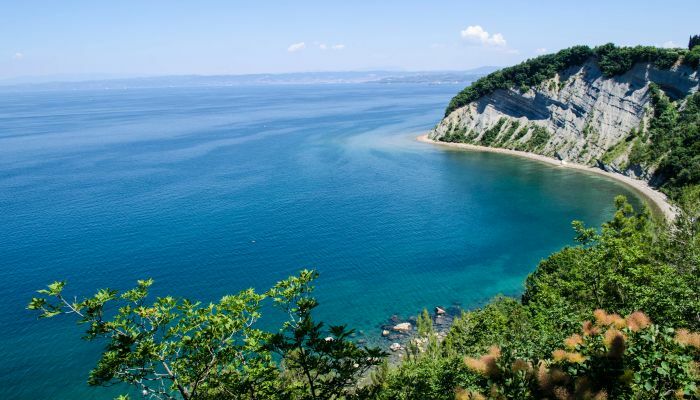 A number kilometers northward of Piran is Izola another charming Italianate seaside town. 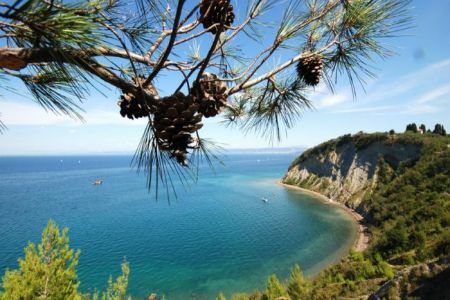 Strunjan is a small and pleasant village famous for its stunning coastal views and prominent cliffs. 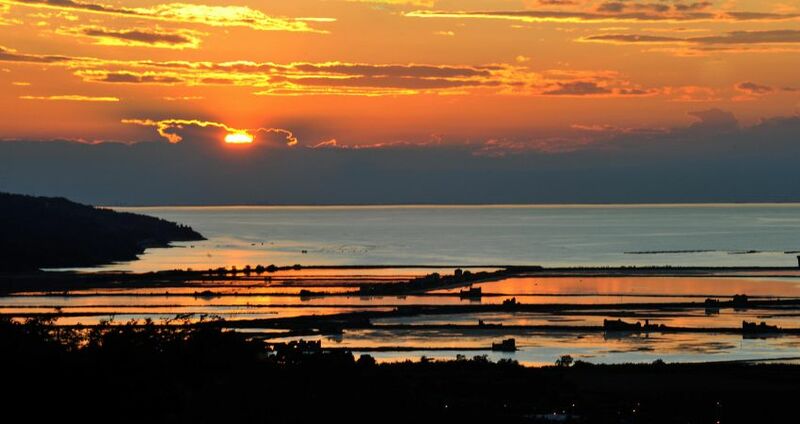 Strunjan is located about half way between Piran and Izola. 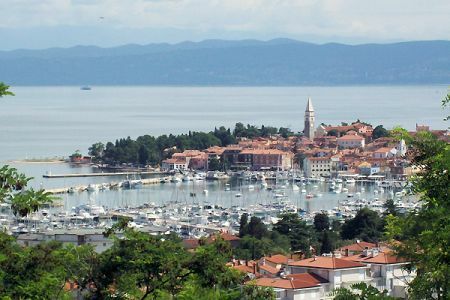 Further north the port of Koper is initially unappealing but actually conceals an attractive medieval old town that is well worth a second look. All along the coast one can find excellent Italian influenced cuisine and plenty of fresh seafood. Inland from the coast is wine growing country dotted with old Istrian hilltop villages, which often have views of the Alps and the Adriatic. Before you begin your search, please be aware that we have many more properties available to us than we have listed here. We can always find you something suitable. If you do not see what you are looking for, it is always worth contacting us to do a "free" property search on your behalf.